Like Amazon Echo, Google Home is a device that can answer your questions, play music, and control home automation tasks. It's a handy thing to have around if you don't mind Google listening to you on a regular basis. Now the device is gaining a bit more operability. Thanks to its announced update of the Weave platform, it can now work with the Wink home automation hub. The company announces "Starting today, we’re excited to announce Wink-compatible lighting products (light bulbs, switches, dimmers, and outlets) and thermostats can now be controlled with the Google Assistant on Google Home." Adding it is fairly simple. Link the Google Home device to your Google Assistant app, go to the menu and tap "Home control". Tap the plus symbol in the lower right corner, tap the "Wink" option and enter your login info. Now you can control things such as home lighting with commands like "OK Google, turn on living room lights" or "OK Google set bedroom lights to 50 percent". You can do the same with the temperature if you have something such as the Nest thermostat. 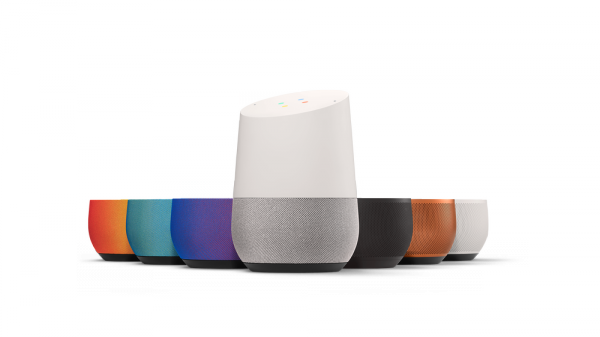 Wink claims "The Google Assistant on Google Home’s powerful artificial intelligence and machine learning capabilities extend the possibilities for voice control into new arenas. We’re thrilled to bring that to Wink."